Hednesford Town comfortably overcame a Nantwich Town side who, despite a strong away record, never threatened to peg back the Evo-Stik Northern Premier Division title-chasers once Ben Bailey opened the scoring after just 90 seconds at Keys Park. 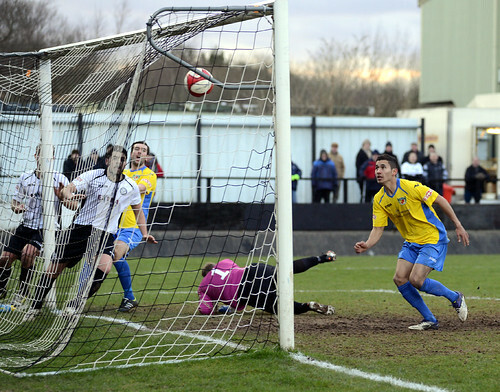 The Pitmen, looking to build on their previous result in the league, an outstanding 4-0 victory against Worksop Town on January 12th, played well within themselves throughout the majority of the game and, with three straight-forward points, kept the pressure on leaders North Ferriby United. 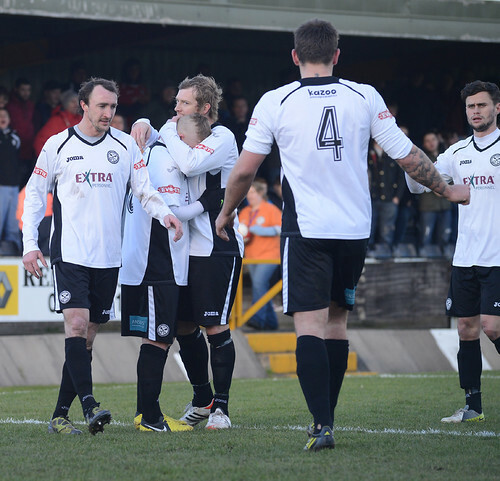 The imperious Dave MacPherson formed the boundless engine room in the Hednesford midfield and, especially in the first half, the former Nantwich player haunted his old side with an all action performance. 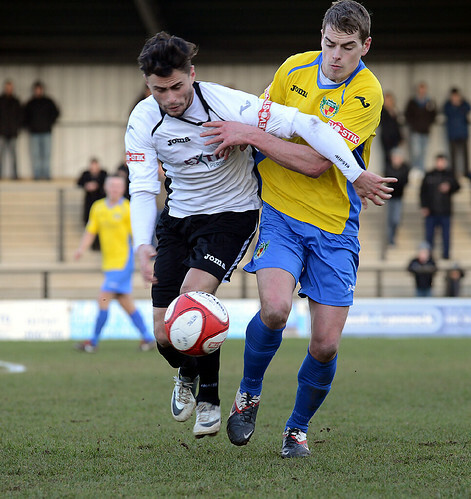 The midfielder set up a flowing Hednesford move on seven minutes with a typically crunching tackle before Jon Brain saved at full stretch from Elliott Durrell and three minutes later Darren Campion’s teasing cross from the left was headed just over the bar by Aaron Rey when the striker should really have scored. 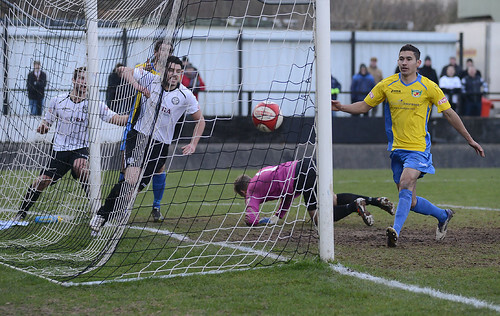 Hednesford always looked likely to win the match and, once Elliott Durrell capitalised on lax defending to smash a half volley into the corner on 31 minutes, the result was never in question. Nantwich will undoubtedly be frustrated at the fact that their backline allowed Jamey Osborne’s long throw to bounce no less than three times in the area before Durrell pounced on the loose ball. The hard-working Michael Lennon, also playing against his former club, should have scored when he broke clear of the defence on 40 minutes and glided past the goalkeeper but hesitated and eventually saw his chance snuffed out. Nantwich’s sole opportunity came when Simon Everall hit the outside of the post from close range just before the hour but Lennon, always a willing runner, could have wrapped the game up on two occasions with Brain twice making top quality saves to deny the Pitmen striker. The result was duly confirmed when a Durrell free kick evaded everyone but Sam Barnes who tapped in from close range with twenty minutes to go and the Keys Park faithful were able to relax in the wintery sunshine safe in the knowledge that their team had done what was needed to win the three points. North Ferriby ran out 3-1 winners in their game versus Grantham Town so the gap between the leaders and Rob Smith’s side still stands at four points but, since capitulating against Rushall Olympic on New Year’s Day, The Pitmen’s league record reads three wins, one conceded, 10 scored as they begin to click into gear for the final third of the season.